The launching of a new property in Sigatoka will lift the Salad Bowl town’s profile. The $3.2 million investment has been made by a former Sigatoka man who has returned to his roots, over three decades later, to increase the rate of investment in the country. Rajendra Prasad regained ownership of the sky blue Fijian passport a year and half ago. His career is centred in the engineering and construction industry in Australia. Government’s conducive investment environment, he says, brought him home to the town that had left precious memories while he was studying and making a living overseas. “I left for New Zealand in 1980 to study engineering. And then after a few years I became a New Zealand citizen,” Mr Prasad recalled. “From there I migrated to Australia where my family and I still reside. “The way Fiji is heading under this new Government at the moment, it’s politically very stable. “The environment that Mr Bainimarama’s Government has created in Fiji is very conducive for us in investors or foreign residents coming over and calling it home again. The two-storey building he said will be occupied by only two tenants. The ground floor will be occupied by a Shop N Save supermarket and a Bargain Box retail branch. Mr Prasad has also indicated further investment plans in future. However at this stage, he and his family are excited about the potential the building will have in terms of economic activity. 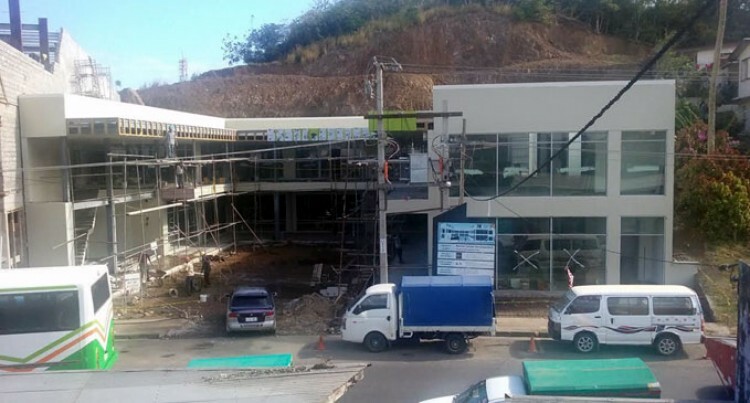 The supermarket is likely to have at least 50 people employment while the clothing and accessories shop will have about 20, he added. “This is a state-of-the art building and we are proud to be part of this exciting journey that Fiji is heading,” he added. The launch of the building will take place tomorrow and the Attorney-General Aiyaz Sayed-Khaiyum is expected to officiate the occasion. The complex does not only benefit the consumers but it creates employment which Mr Ram praises. He confirmed, “Council has been advised of some new developments soon. There also a few businesses that have informed the council about some new development to look out for. Mr Ram has urged other businesses to start developing the few vacant lots in the town as this would be good for the district, since it will provide employment to the people.